Now, some of these accessories will come in handy when you’re traveling on public transport but the main focus here is assuming that you’re sitting in your car and you’re in dire need of a Stardew Valley or Super Mario Odyssey fix. Obviously, alas, the world of gaming on the road is not for drivers, but if you’re the passenger (or you’re at a rest stop) then go nuts. Here are the best accessories for making car time more like Switch time. 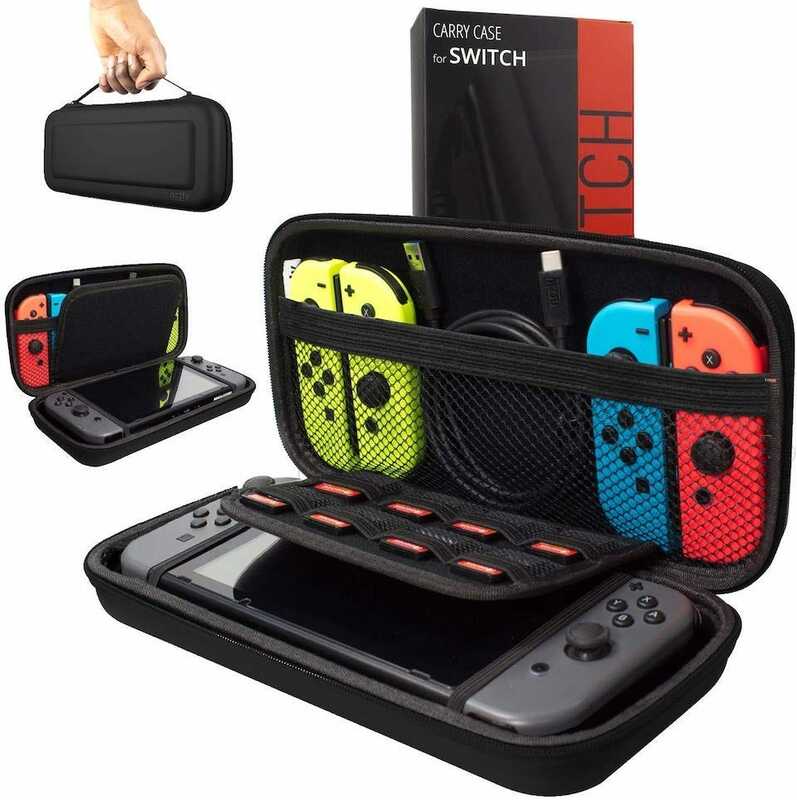 A carrying case is an important essential no matter where you’re taking your Nintendo Switch, even if it’s just between rooms in your house. It’s all too easy to scratch or drop your beloved console. The Orzly Carry Case is a good combination of solid and dependable, while still comfortable to carry around. It has a hard EVA shell exterior with a soft inner material to keep your device scratch-free. The main section comfortably fits the console and Joy-Con controllers with an upper section offering room for extra Joy-Cons, up to 8 games, and other cables. There’s a carry handle too so you can easily carry it around with you. The 9V car charger socket is useful for so much, and that includes charging up your Nintendo Switch. The HORI Nintendo Switch High Speed Car Charger plugs in and recharges reasonably quickly, even while you’re playing on the console. Because yup, it’s possible to keep playing. 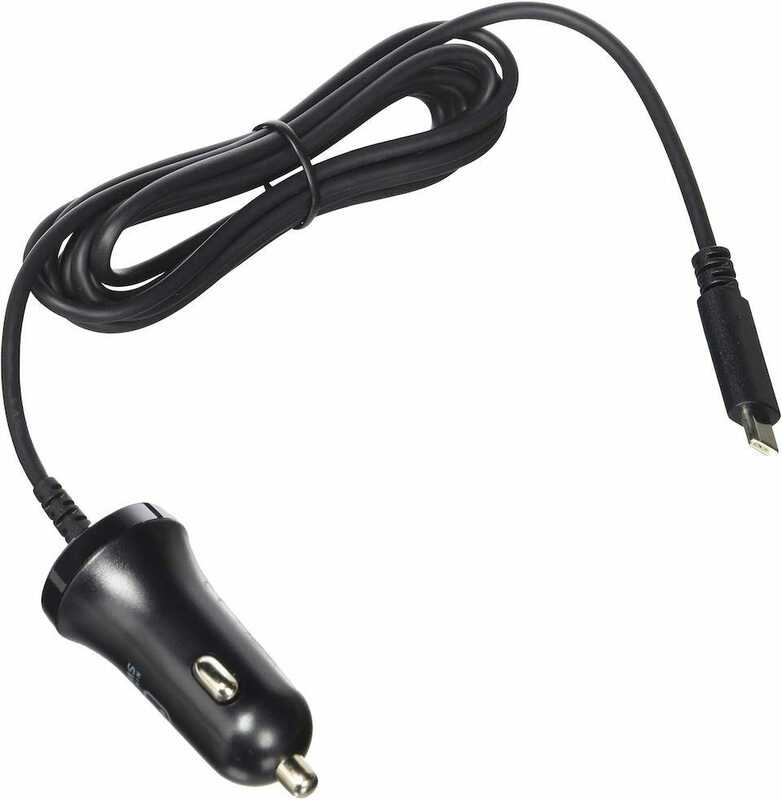 This car charger has a 6-foot cable so you don’t have to worry about keeping too close to the car charger. As the Switch only has a battery life of a few hours, it’s the perfect way of making sure you never run out of juice. The charger also charges any mobile phone of yours that has a USB-C connector, making it extra useful. Oh, and it’s officially licensed by Nintendo so you don’t have to worry about any problematic electrical issues either. There is a pricier but more convenient solution to your charging issues than buying a car charger. That solution is a power bank. 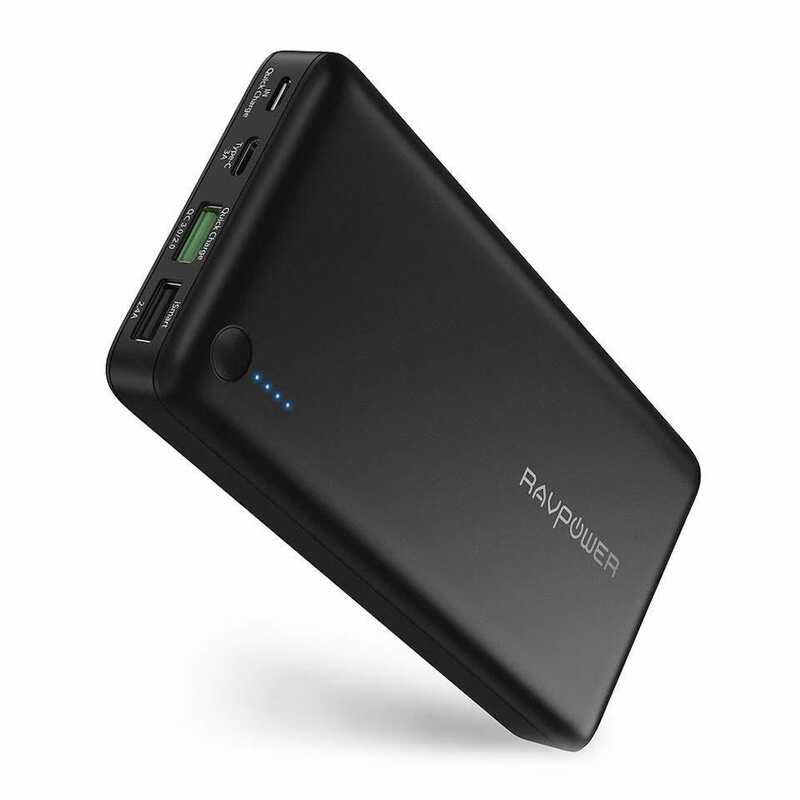 Something like the RAVPower 20100 Power Bank is a great way of giving you extra power while on the move. Its capacity big enough to charge the Nintendo Switch 2.5 times with the power bank charging in a mere 4.5 hours when using the QC3.0 charger (available separately) or 10.5 hours with the 5V/2A charger. 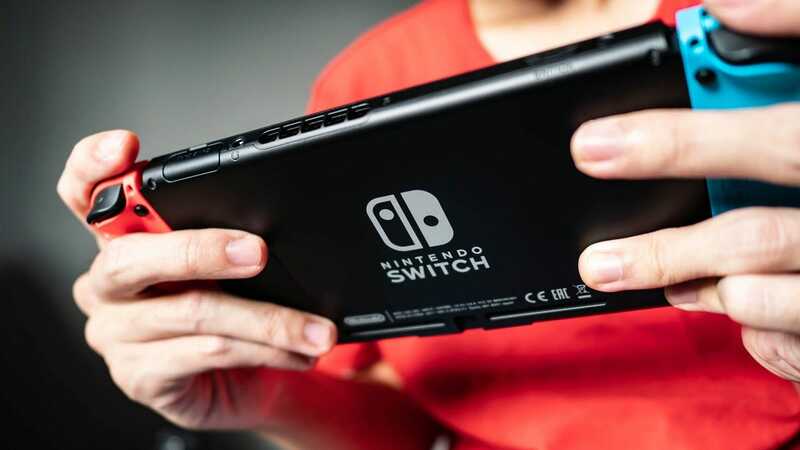 Besides boosting your Switch play sessions, it also works with anything else USB-C based like a 12 inch MacBook, Google Pixel 2, Samsung Galaxy S8 and so forth. If you travel often, it’s a useful standby accessory to have just in case you can’t charge via your car or hotel room. 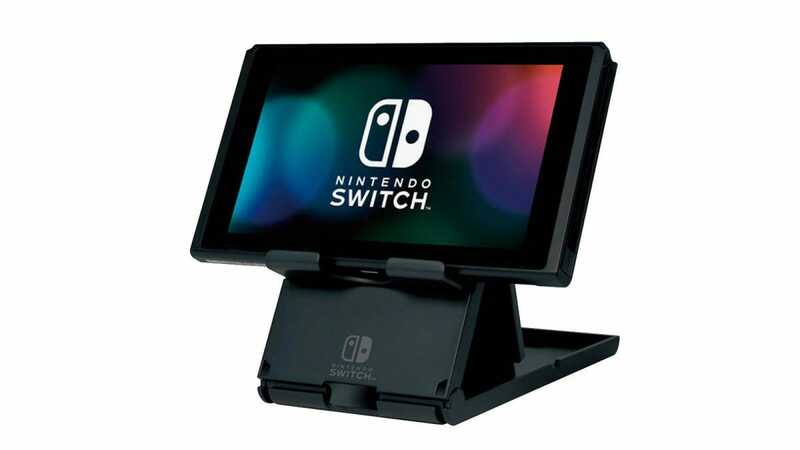 If you have a dropdown table or flat surface somewhere in the car (such as a neat car desk), you can use the Switch’s kickstand to prop up the console while gaming. A far better solution is to use a full stand like the HORI Switch Compact PlayStand. It’s an inexpensive way of propping up your console while you play, and you can even use it while charging too. There are rubberized grips for stability, as well as an adjustable angle so you can get your pose just right. It also easily folds away for simple storage (even in some carrying cases). Don’t be surprised if you find yourself using this elsewhere from the car as well. It’s pretty useful. It’s tough to entertain the kids on a long car journey. That’s why you’ve handed them the Switch, right? Enhance their experience further with the FYOUNG Car Headrest Mount. It slots onto the car seat’s headrest snugly without any risk of damaging the car or your Switch. It even leaves room for the charging port so you can charge it via the car charger and use it at the same time. 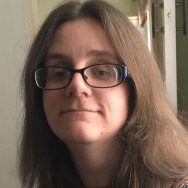 There are 360 degrees of rotation so you can get just the right viewing angle for your offspring while even encouraging them to keep their head straight and posture firm too. The holder also works for many smartphones and tablets so you’ve got plenty of options here, whether it’s a binge watching session of Paw Patrol, or a quick game of Mario Kart. Enjoy no more “are we nearly there yet?”. 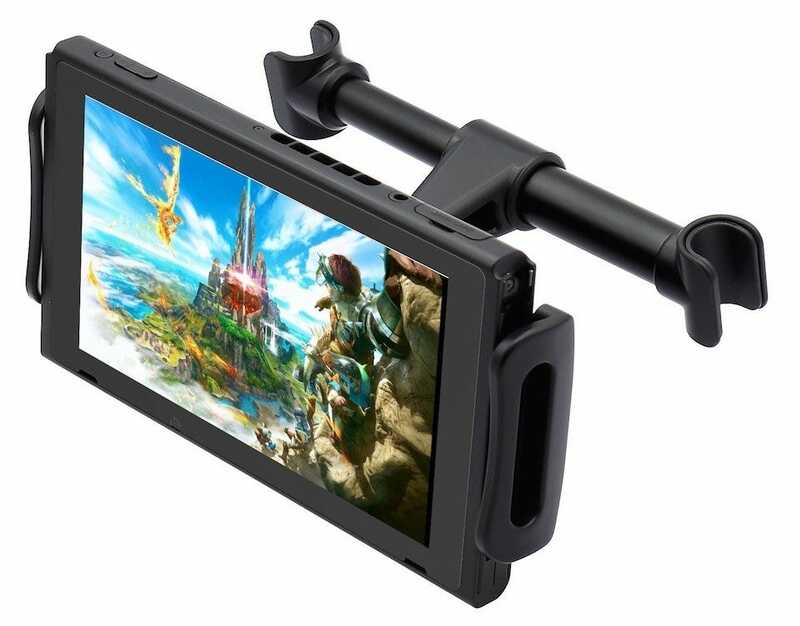 If you’d like other options for mounting your Switch (or tablets), check out our guide to adding instant backseat entertainment with a tablet mount, too.